1. Sim lost a dare, must walk around in mascot outfit. 2. Mini-life crisis – change secondary aspiration. 3. Anger Management after a fight. 4. Your owned business is doing well, move up 2 ranks! 5. Crime does pay! Spend your free time counterfeiting money. 6. You want to jam with a band, join or create your own. Notes: Exactly two years ago on this day, I posted my Round 10 summary… I have finally finished the eternal round 11. As I mentioned previously, the Browning family got skipped, but I’m just bumping them to the top of this round. Caitlyn has breakups in the last two rounds, hopefully she finds someone to stick this upcoming round. Thank you to everyone who has commented, liked, and read my posts here and on tumblr, you keep me encouraged to keep posting and also playing, just like many of your own hoods and photos have done the same. Long live TS2! Here’s to hoping that this next round doesn’t take a lifetime. 1. Routine doctor visit, something shows up, roll to see if you survive. 2. Packing on the pounds, go down in your fitness level. 3. Distant relative will give you $5200. 4. Demoted: Sim loses one job level, or if self-employed, one business level. Fired if at the lowest level already. 5. Friends with Benefits-Sim and their closest friend will have a one night stand. 6. Food Poisoning: Sim gets food poisoning. Notes: I will say that I failed a bit with my ROS’ last round, I forgot about a few of them. Oops. Here’s hoping I do better this time around. I’ll roll on the routine doctor visit when I get to that household, so I don’t know the outcome of that yet, hoping that it’s not bad news. Probably the most curious about the friends with benefits, because it could be a fun twist, and a bit of drama. Here’s hoping there are no unexpected deaths, as I have a death a year for the next four years in the game. Kind of sad about a few of them. Thanks to all that read and those that comment, your notes always bring a smile to my face, and mean a lot to me! I didn’t want to sneak off without some words, was going to add it to this weeks update, but alas, there isn’t going to be one. Heading east for my sister’s wedding, have vacation, summer activities, company, and flooding damage to repair, so I’m taking a short break from the sims. I’ll be around on Twitter and goodreads when I can, just going to focus the bit of free time I have on some other creative energies that I’ve been neglecting (littlest wants a knit dolly, I have a book that’s three chapters shy from another round of edits), and get out to enjoy the sunshine while we have it. I would guess in 3-5 weeks I’ll be back, could be sooner if my basement gets recarpeted, and drywall put back up, just isn’t a cozy environment since the flooding. 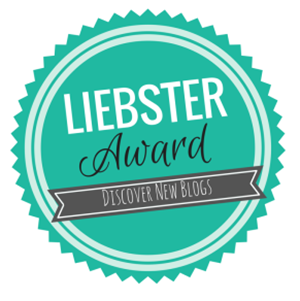 Ah, much thanks to Shannon and Emma for nominating my blog for the Liebster Award! I’m truly honored. ❤ I love reading sim blogs, and now with this award floating around, I am able to discover even more! Round 9 Story Index Here. 2. Tornado! House is demolished. Sim must move out with family immediately. Bulldoze lot in ‘Hood mode. Each resident may save 4 items in Inventory. Add $7000 for insurance settlement. 3. Ouch! You’ve been in a car accident! Lose 5 body points and 2 active points. Miss work for 2 days, & do physical therapy. 4. Family Picnic: Go on a picnic to the park with your family, enjoy nature without electronic distraction. 5. Can’t catch a break. It’s been a terrible month. Fulfill 2 fears. 6. Bar fight! What a night — too bad you don’t really remember it. You pick a fight in a bar, then have to pay a $600 fine in damages. If you win the fight, gain a body skill. Lose and lose a body skill. Notes: I am quite excited about the Mother visiting, it is sure to be a blast to play, and is really great timing for these particular sims. The tornado is fine, while I built the current house, I have never been overly fond of it, most of it isn’t even decorated nicely. Two fears could be bad… this person has many people in their life, hopefully they aren’t worried about them dying. Bar fight is actually pretty nicely placed too, looking forward to it. Bekah Grimsley is running for reelection as Mayor. In her first term, she kept her promise, and built the Prince Alfred Aquarium, along with a festival for Independence Day. If reelected, Bekah intends to continue with local festivals and education for local families. Build an Art Museum for families to enjoy. Start a Fall Festival in Millwood. Also running is Finn McCarthy, his second attempt against Bekah. Since the last election, he has started a farm business that he will continue with his son, Elias upon his college graduation. As a long-time Millwood resident, he still aspires to open a pub and restaurant for the locals. Build a neighborhood Pub in Millwood with a small town, local charm. New contender, Kenzie Goss is a devoted social worker to the children in the county. Her primary mission is to build a new recreation center. The current one is small, underfunded and on the shady side of town; it doesn’t reach its full potential. Kenzie promises to build an after school center for youth to spend their time without getting mischief. It would be in a centralized location and run by teachers in the community on a volunteer basis. Build a Recreation Center for today’s youth focusing on hobbies, social, and skilling. Notes: I’m keeping the lists small and manageable. I aim to post the results in one week, February 18th. Bekah’s vow last time was a museum ether art or aquarium, so I’d still like to get an art museum in. I also want to get the pub too for Finn, because I’ve had the signage made for me for a significant period of time. And Kenzie was an unexpected addition! Kiri at N99 gave me the idea for Kenzie, her idea was to have a place for activities/hobbies for youth and use Inge’s tokens to pull the students onto the lot. I currently have a small recreation lot that Ella has used, and Lewis even as a child but it’s not very playable. I would build a new one then the teachers would have tokens and work on a volunteer basis, I can see Brooklyn and Oliver being happy to do it. It’d have hobbies, social, and skilling. If anyone has seen TS3 scouting/guide outfits for kids converted to TS2, I would love to know about it! I’ve been wanting to do scouts for sometime, all my kids are in them, but I’ve never seen the outfits converted. Bekah Grimsley was elected mayor in 2020 with the promise of adding the first museum to the South Port metro area, and she delivered. With the help of City Planner, Violet-Adele they were able to just make the deadline before elections. Violet-Adele was heavily inspired by the Littly Hollywick Aquarium.